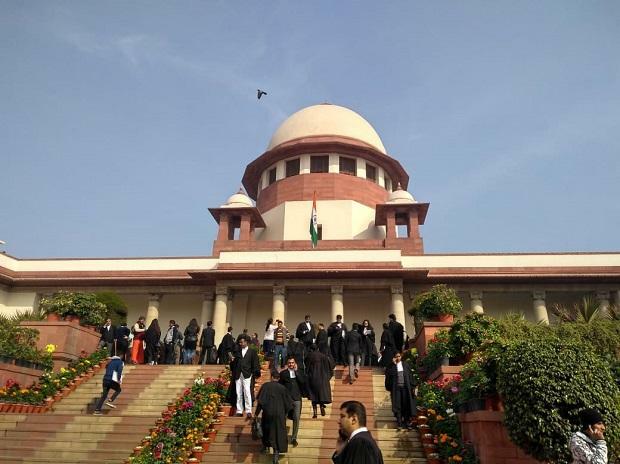 Justice Kailash Gambhir, former Delhi High Court judge, has written a letter to President Ram Nath Kovind against the Supreme Court collegium's recommendation to elevate Justices Dinesh Maheshwari and Sanjiv Khanna to the apex court by superseding 32 judges. The letter written on Monday mentions that Justice Khanna is the nephew of late Justice H R Khanna who was superseded after he gave a dissenting verdict during the Emergency by not supporting the view that even a fundamental right can be curtailed in certain circumstances. Just like Justice H R Khanna's supersession was termed as a "black day" in the history of the Indian judiciary, it would be another black day when there will be supersession of 32 judges who are senior to Justice Sanjiv Khanna and many of them maybe no less meritorious and men of integrity than him. The letter comes in the wake of the January 10 collegium recommendation for elevation of Justice Maheshwari, who is presently the Chief Justice of the Karnataka High Court, and Justice Sanjiv Khanna, a judge in the Delhi High Court, as the judges of the apex court. Retired Justice Gambhir, a senior advocate, urged the president that the credibility and independence of the judiciary be preserved and "let another historical blunder not be committed". He said when he saw the news on TV channels on January 11 that the collegium has recommended elevation of Justices Maheshwari and Sanjiv Khanna to the apex court, at first, he disbelieved it. However, he saw that on legal news websites there was a detailed coverage of this event, including the decision of collegium placed on the website of the Supreme Court. "To reiterate what you may be aware, it states that the collegium has discussed the names of Chief Justices as well as senior puisne judges of the high courts, eligible for elevation to the Supreme Court and is of the considered view that at present the said two persons are more deserving and suitable in all respects than other Chief Justices and senior puisne judges of high courts for being appointed as judges of the Supreme Court of India. "The decision of the collegium also refers to certain decisions taken by it on December 12, 2018, but since the required consultation could not be undertaken as the winter vacation of the intervened and by the time the court reopened, the composition of the collegium underwent a change," the two-page letter stated. It added that the news breaking all traditions has sent shock waves to the entire legal and judicial fraternity and termed the "earth shattering" decision to supersede 32 judges as appalling and outrageous. "This is appalling and outrageous that such an earth shattering decision has been taken to supersede as many as 32 judges which include many Chief Justices, casting aspersions on their intellect, merit and integrity," it said. Justice Gambhir also wrote that Justice Sanjiv Khanna, the son of late Justice D R Khanna, and nephew of a highly respected man in the legal world, former Supreme Court Justice H R Khanna, who had given a dissent judgement in ADM Jabalpur matter. "The talk in the legal corridors is that the elevation of Justice (Sanjiv) Khanna is with a view to pay respect to the legacy left by his great uncle and is a tribute to his great ideals, principles, judicial philosophy and most of all, to the courageous stand taken by him in the habeas corpus case. "We all know that Justice (H R) Khanna stood as a rock in his known dissenting and minority voice and refused to bow down to the majority voice of four senior-most judges who went on to compromise the life and liberty of citizens, permitting unrestricted powers of the government for detention during the Emergency," the letter said. It stated that Justice H R Khanna knew when he signed his dissenting judgement that he was signing away his future chief justiceship. As a fait accompli, when the time came, Justice H R Khanna was superseded and in his place Justice M H Beg was appointed as the Chief Justice of India, it said. Justice Gambhir said Justice H R Khanna resigned so as to give a slap on the face of all those votary of playing with the independence of the judiciary and to respect the seniority of judges. Many term the supersession of Justice H R Khanna as a 'black day' in the history of the Indian judiciary, he said. He also referred to the January 12 last year presser by the then four senior-most judges of the Supreme Court, including Justice Ranjan Gogoi, the now Chief Justice of India to flag some of the pressing problems they faced with the then CJI Dipak Misra. While addressing the media, it was said that 'unless this institution is preserved, democracy will not survive in this country'. It was also said that the 'democracy will not survive without free judiciary', the letter said. "I humbly urge your Excellency to kindly ponder over as the head of largest democracy in the world with a robust judiciary and having remained a part of the legal fraternity, and see yourself that the way the present collegium of five eminent senior judges have superseded almost 32 judges, how will the democracy and independence of judiciary in the country survive. "It cannot be forgotten that it is just one-and-a-half month back the then collegium members of the Supreme Court had superseded Justice Dinesh Maheshwari and now out of the blue, he becomes more deserving and suitable within such a short gap," Justice Gambhir said.